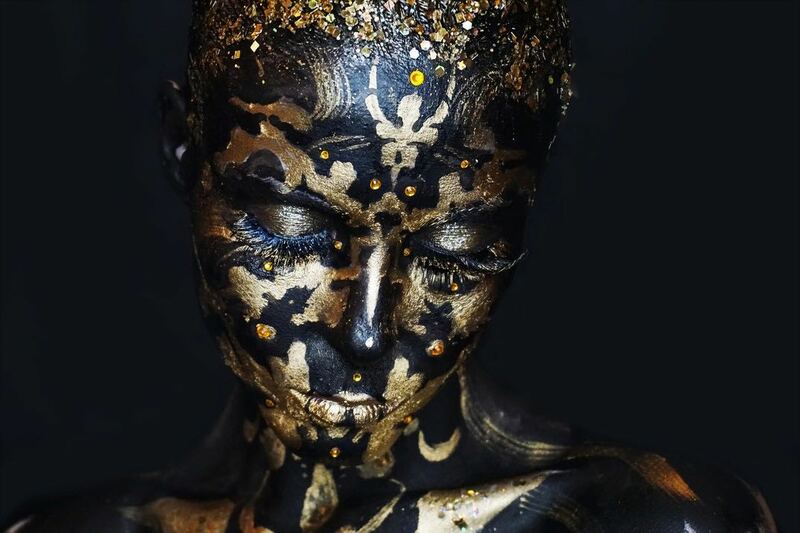 After discovering her love for makeup and the performance arts, Julia moved from Spain to London to study BA (Hons) Hair, Make-up and Prosthetics for Performance at LCF. 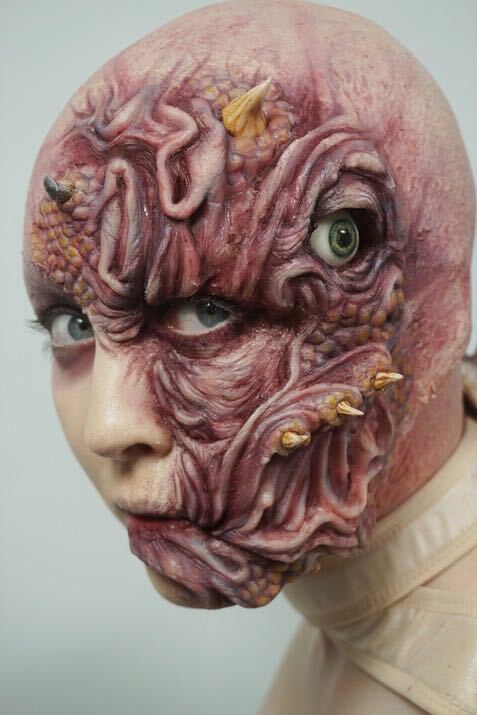 Since graduating in 2018, she’s been working across different areas in the industry as a special effects makeup artist. Did you always know you wanted to work in performance arts? Not always. Since I was little I liked painting, drawing and sculpting, so I studied Fine Arts in Spain. However, it was in 2012 that I discovered makeup and I realised how much I wanted to do it professionally. In my country (Spain) the makeup industry is not very big, especially when linked to performance arts, so I decided that I would move to London and try to study and work here. How did you start your journey as a makeup artist after finishing your studies? 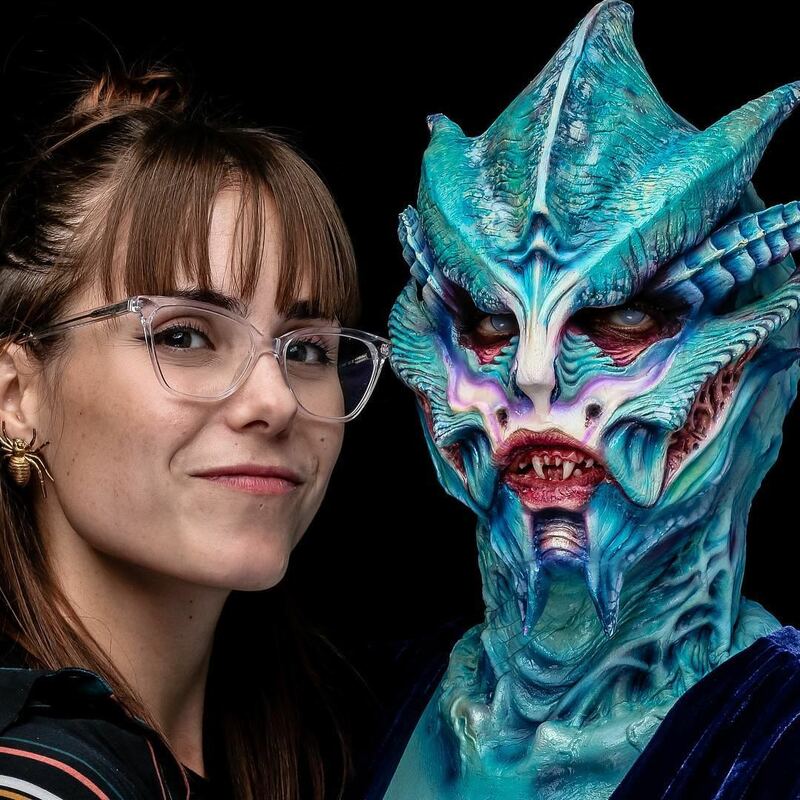 After graduating, I was awarded the Ve Neill Legends of Makeup Scholarship and I had the opportunity of studying at the Cinema Makeup School in Los Angeles for 3 months. I then came back to London to start my career as a freelance makeup artist. Right now, I am working on everything that comes up: I do makeup for music videos, commercials and I have also worked in a feature film. 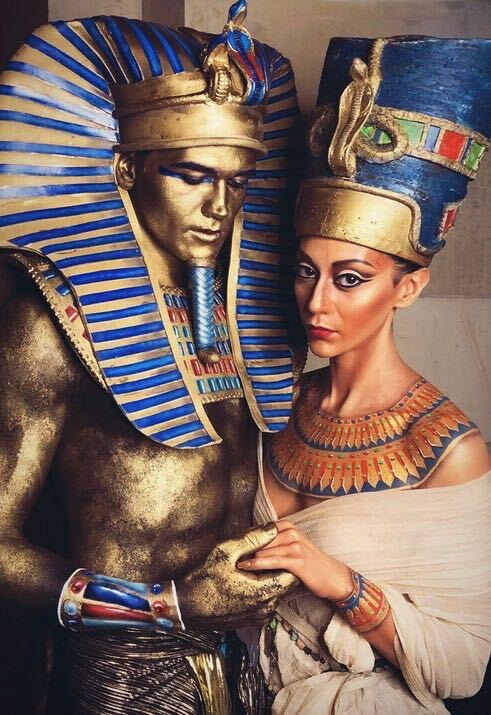 Moreover, I also teach face and body painting techniques as part of the Graftobian European team. "I love the dynamism of it, as well as that every job is different and that you get to know so many different people, locations, cultures…"
You’re always learning new techniques and ways of doing things. Any exciting upcoming projects you can tell us about? Yes! I will be working in Hong Kong for 3 months for an amazing production with a very professional makeup team. What plans do you have for your career? "I hope I can keep working in the film and performing arts industry, and maybe try to come back to my country and help to spread the word about the possibilities of this amazing industry there." Let’s talk a bit about your time at LCF. Why did you choose to study at this university? The UAL has a very important reputation, and when I researched about it I saw how good the work from the students was. Also, the fact that it was in London was very important for me, as well as the good connections it has with the industry. What key skills did you learn during the course? Apart from all the technical skills I have gained, another very important skill I learned was how to act and do my work in a very professional, hygienic and creative way. "The way in which you present yourself in the industry is crucial to get jobs, and that is something I have learned from my instructors at LCF." Did you receive any advice from a lecturer that really impacted you? I remember how, during my second year, my tutor in prosthetic gave me a very strong and sincere critique about a prosthetic I had been sculpting for a few days. He was very straight forward and he talked to me as I was a professional. 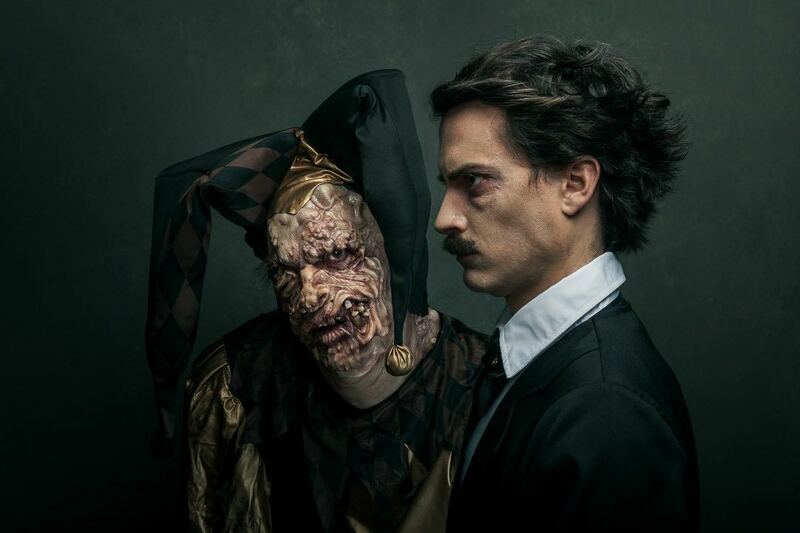 Even though I felt a bit down at first, I used all his feedback to improve my work and make changes to my sculpt technique, and that prosthetic is the one I am the most proud of from my whole portfolio. What piece of advice would you give to potential students looking to study Hair, Makeup and Prosthetics for Performance at LCF? Prepare a good and diverse portfolio and a strong personal statement. For those who get in the course: take advantage of the facilities and the support you have during your time at LCF (teachers, technicians…). You are going to be there for just 3 years and it is an incredible opportunity you cannot miss.